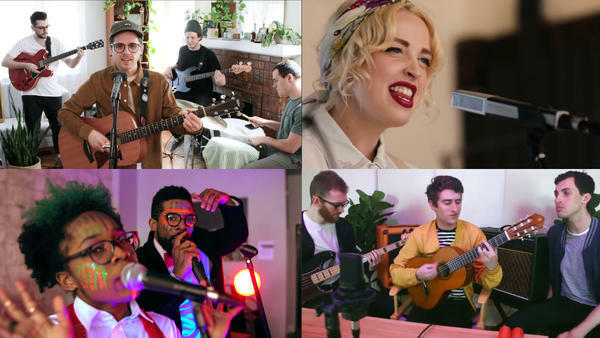 The deadline to send us your video for the 2019 Tiny Desk Contest is quickly approaching: You have until this Sunday, April 14, 11:59 p.m. EDT. If you need some inspiration for your entry, you can now check out every eligible entry we've seen so far on the Tiny Desk Contest website. And while you're working on your last-minute entry, (fine by us!) check out these videos below to see what's caught our attention lately. Dxtr Spits & Nexus J., "Slave Name"
The Rare Occasions, "Call Me When You Get There"
Jacqueline Savageau, "I am Enough"